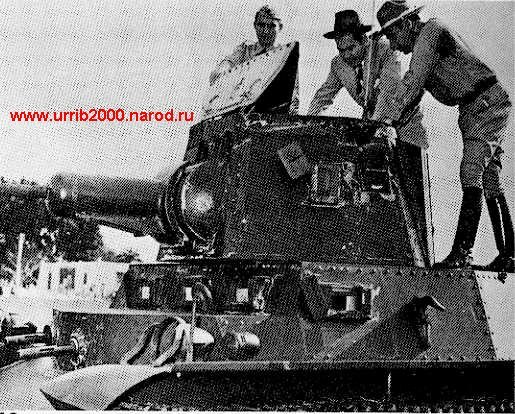 The Marmon Herrington, known in Cuba as "3 Man Dutch" (instead of Dutch Three Man), was the first tank of Cuba. After of the Japan's Attack to Pearl Harbor in December of 1941, Cuba declares the war to the the Axis powers. Then the United States send to Cuba Military Aid under the program Lend Leased, that include the delivery of 8 Marmon Herrington tanks in 1942 thought the U.S. Ordnance Department. These tanks participated in the war against the guerrilla of Fidel Castro in 1958. At the revolutionary triumph of January of 1959, remained 5 in service. They served of training and little later scraped by for lack of pieces and by the arrival of the soviets armors. 24 of these light tanks arrived at Cuba under the program Lend Leased in 1942-1943 after the declaration of war to Germany. They served in the Columbia Regiment, Havana, and participate in the fight of Batista against Fidel Castro. When Castro arriving to the power, remained 18 Stuart in service, and in various of these tanks the Castro's troop enter in Havana. 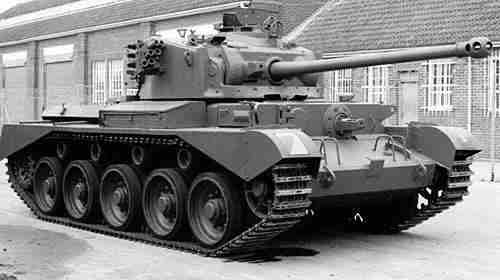 The Stuart served in training before until the arrival of the Soviet and and Czech armors. They went the more strong tanks of Batista. In 1957 were received 7 Shermans under the Aid Program. They participated in the fights against the guerrilla of Fidel Castro, fighting in Oriente (offensive of May of 1958, Battle of Guise) and in the Santa Clara battle, in support of the Regiment "Leoncio Vidal" against the Che Guevara. Here, when Batista fleeing January 1, 1959 was taken the famous photo of the Che next to a Sherman (and not in Bay of Pigs, as wrong think some authors, as Steven Zaloga, there not there was any Sherman). To the revolutionary triumph all the 7 Sherman still active and in one of them enters triumphant Fidel in Havana in January 7. In the anniversary of the attack to the Moncada, in July 26, 1959, the Shermans participate in a maneuvers, where sinks a ship shooting from the Havana coast. 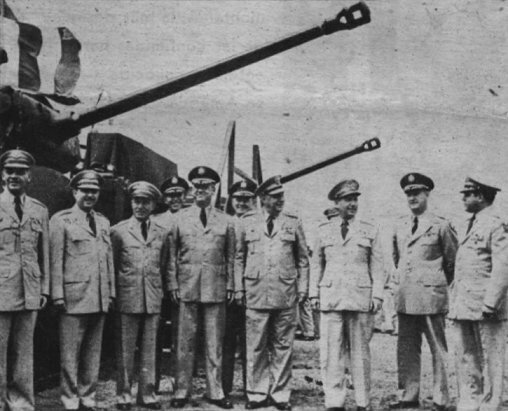 Fidel Castro was pleased to visit the military camp of Managua, where were all the tanks, and to practice the shot from a Sherman. 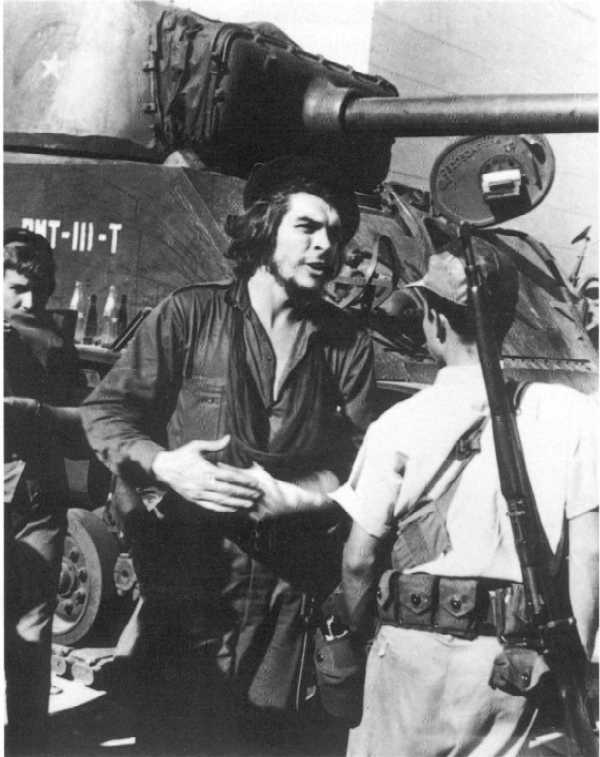 Certain time he competes with Nestor Lopez Cuba (who later become a Division General, veteran of Syria and Angola), shooting with the canon of 76 mm to the palms around the camp, each one in its own Sherman. Until Fidel says: "It's all, we Remain draw. Besides, we are violating the Constitution, because the palm is a national tree". When arriving the first soviets T-34-85 in 1960, the better crews of Sherman pass to be trained in the soviet equipment, and the Sherman little later were retired, without coming to be employed in Bay of Pigs. Today alone remains one Sherman in Cuba, that was repaired in 1981 (with motor of T-55!) to film the TV series "The Army of all" about the revolution. He is exhibited today in one Cuban military unit. January 1959. 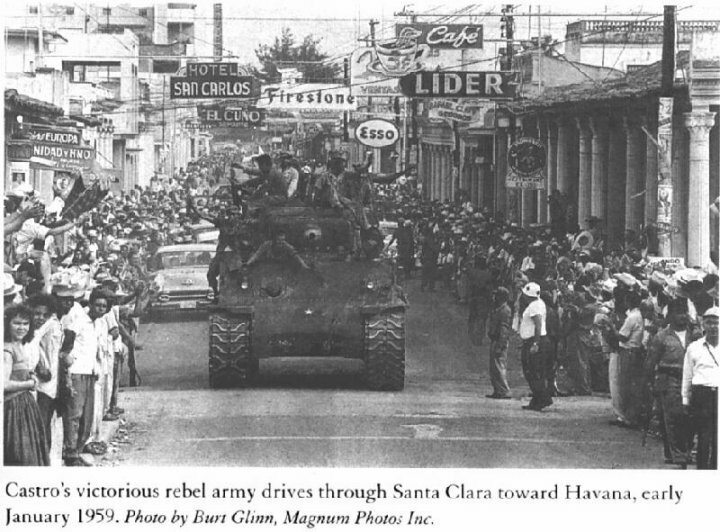 The Che Guevara troops leaved Santa Clara City toward Havana at the revolution triumph. At least 15 british Cruiser tanks A34 Comet were bought for Batista after the American embargo, and they arrived at the same end of the war, in December of 1958, being able to participate in the Santa Clara Battle. They were scraped when arrival the soviet armor. Long time the last Comet was stationed in the wall of the castle of the Punta, at the Havana coast, defending the entrance of the Havana Bay, whithout some mechanisms and forgot, until was retreat in 1986. In April of 1960 Cuba ask weapons for first time directly to the USSR, that includes 100 medium tanks. 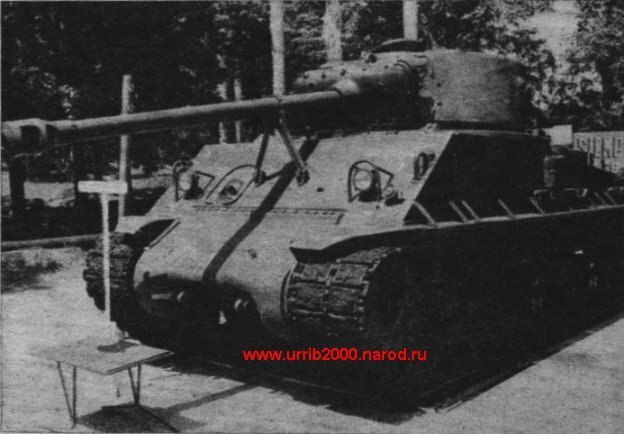 Jrushov conditioned this to the tanks T-34-85 must be Czech made tanks, to cover the soviet aid. In June the soviet leader Mikoyan informs to the Cubans, that they will delivering immediately 30 T-34. At July 17, 1960 Raul Castro arrives secretly at Moscou, and the same day he talk with Matvey Zajarov, the Soviet General Staff Chief, and ask again for the weapons, that includes T-34-85, that delay in arriving. Was a really threat of American intervention in Cuba, then Jrushov finally is decided, and in October of 1960 begin to arrive the Czech made T-34-85, and later soviet made. In December of 1960 were already near 100 of these tanks in Cuba. And at the beginning of the fight by Bay of Pigs in April of 1961, already were in Cuba 125 T-34-85 and IS-2M. 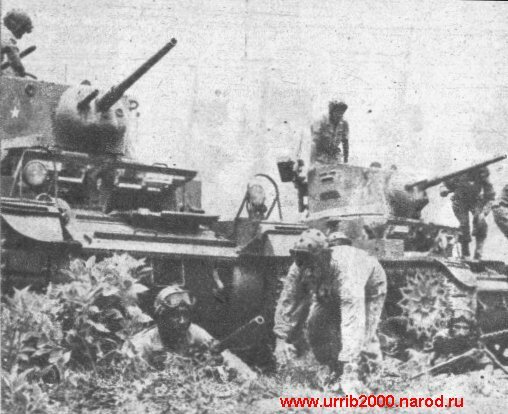 Some 20 T-34-85 contributed to the Cuban victory over the landed forces. But their crews not were finished the training course in Managua, and in not every tank the crews were completed. 5 T-34 were damaged by the M41 tanks, bazookes and 57mm Recoilless rifles. The T-34-85 destroyed at the same time 1 M41 and supported with effectiveness the advance of the Cuban infantry. In April 20, Fidel mounted in one of the T-34 and opens fire against the Houston ship, because some reports that here remains enemy troops. These tanks T-34-85 were part of an asked of a total of 205 tanks, but after the Giron combats, Cuba does in Septiember of 1961 another asked by 412 tanks, part of which they begin to arrive in December 1961, and in 1962, on time before the Missile Crisis. 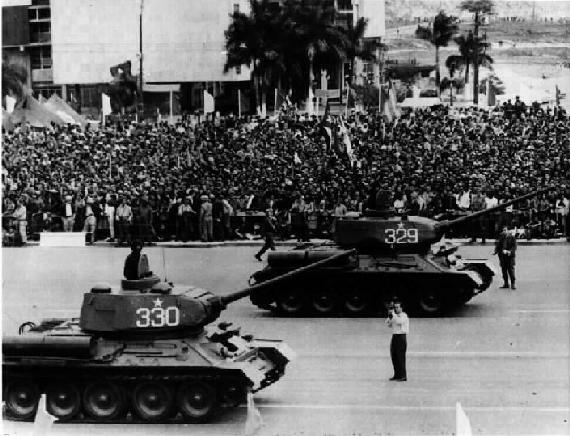 One year after Giron, in April of 1962 Cuba already have 400 tanks and continued to receiving more. When Castro visit the USSR in May of 1963, he asks to Jrushov for 120 T-55, but the asked is reduced to others 80 T-34-85. 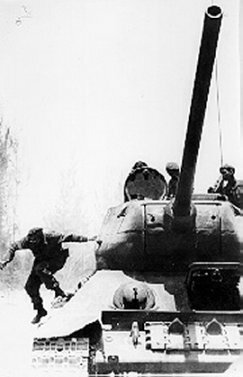 With the beginning of the transfer to the FAR in 1963, of the T-55 of the soviets troops in Cuba, the T-34-85 pass to second plan in the national defense. 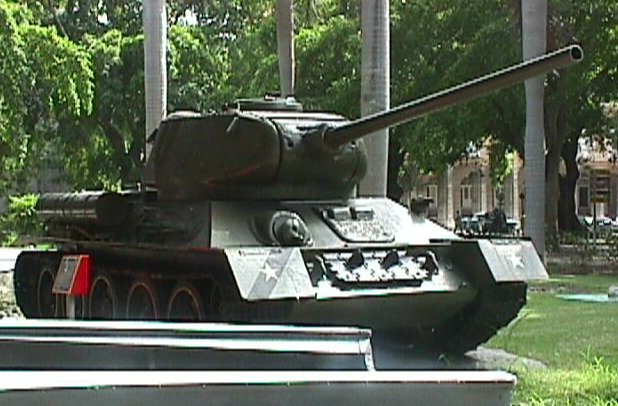 In 1975 the T-34-85 went send to Angola together with the Cuban troops. Here they participate in the defeat of the South African troops, and arriving in March from 1976 to the border with Namibia. Later they fight against the UNITA guerrillas. The T-34-85 today in Cuba (some 300) are destined for coast defense, and of support the Territorial Troops Militias.